Later on the same evening that I photographed Rock and Water, Cascade Falls, Yosemite National Park, California 2011, I also spent some time along the roaring Merced River. There is something magical about standing next to massive amounts of water thundering by so loudly that the rest of the world is drowned out. The sky reflected beautifully in the rapids. I made about 80 frames, playing with various shutter speeds and compositions. 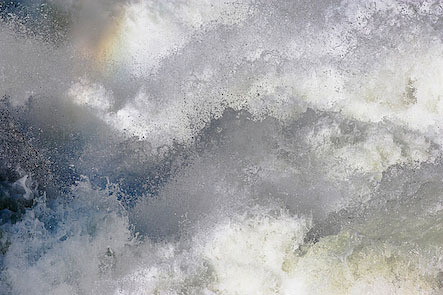 I liked this version which shows the strong streaking and jumping of white water. On a recent trip to Yosemite Valley, I spent some time photographing waterfalls. The water levels are still very high for this time of year, but they are down quite a bit from the highest levels earlier this spring. I had been stuck in my office for far too long, working for about two weeks straight catching up with orders. I desperately needed this water therapy! I had the idea of finding some water details and abstracts here at Cascade Falls. I wanted to see what variations I might come up with like the detail shown below using a fast shutter speed made in 2005. I worked with bright sunlight again but doubted I had any worthwhile images, so I did my errands and came back in the evening. These two image are of the same section of the falls, the smaller 2005 image being a detail within the area of the larger image along the center left edge. One of the reasons for showing this is to show how vastly different two interpretations can be. I also want to mention how much I photographed in both these sessions. 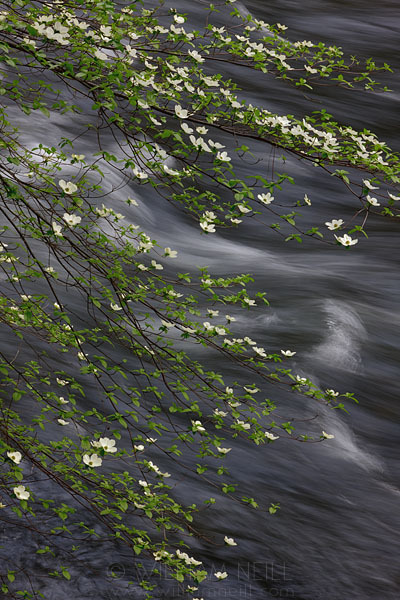 My long time friend of 27 years, Michael Frye, posted an excellent comment recently about how many frames he made to find the best combo of texture and pattern in his waterfall image: Why Am I Taking Forty Frames of the Same Thing? It happens that his photograph was of this section of waterfalls on Cascade Creek, but of Lower Cascades Falls just over the cliff from where I made these frames. He made a critical point about why he makes many variations of one composition, with the same camera settings, to find one frame that stood out above the rest. Even with the same shutter speed, each of 40 frames was different. Doing the work paid off for Michael, and it will for you too. 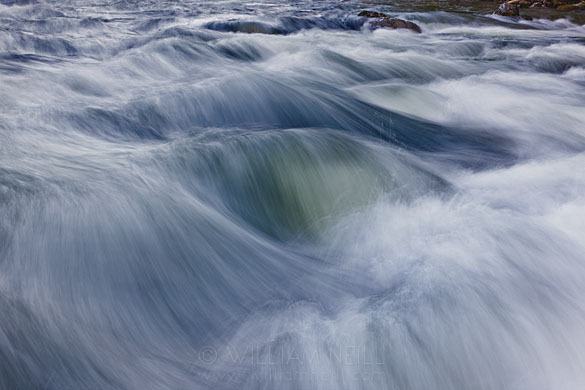 I use the same approach, especially with photographs showing moving water. Not only do I make many frames with the same settings, I also “bracket” my shutter speeds. I have been photographing moving water for a long time, but I am never quite sure which shutter speed will give the best effect for a given scene. I watch the water carefully, looking for prime moments of action, like especially high leaps of spray. I make a burst of frames, and when I think I’ve caught a good moment, I’ll move on to another shutter speed. For the Rock and Water image here, I made around 100 frames total using about 6-7 shutter speeds. When editing my images from this one day, I had 450 frames made at several locations. For each composition, I had to view each frame, with Lightroom’s Compare View tool, to slowly edit down to the best expression of what I saw and felt. Each exposure had subtle differences. The larger image was made with a 1/2 sec exposure, the 2005 image at 1/1000. My point is that it takes this kind of extra effort to push one’s work to the next level. One final note: I have made a great effort to avoid photographing icons and cliches in Yosemite for the past 34 years. 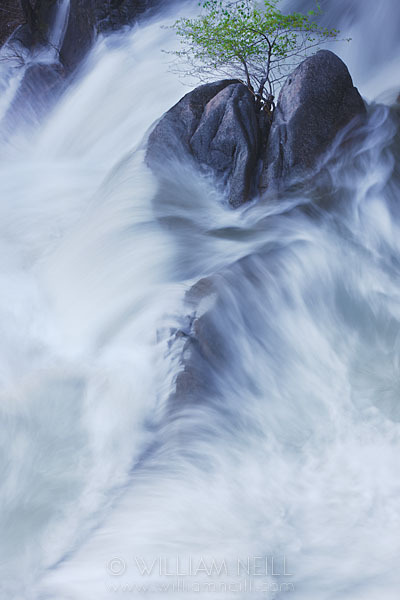 When I made this recent image, I was aware that this rock and waterfall combo had been photographed before. As when photographing Half Dome, I could only hope to add my own creative take to a common subject like Cascade Falls. Whether or not I have succeeded , I do not know. In any case, I had a great time in my favorite sanctuary – Yosemite. Let me know your thoughts, and enjoy! I have been very overwhelmed with work and thus have a large backlog of images to process. 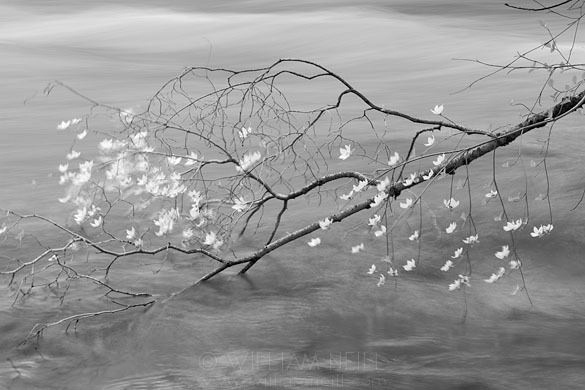 I made this image last month at Happy Isle in Yosemite, which is an amazing place anytime but especially during high water. 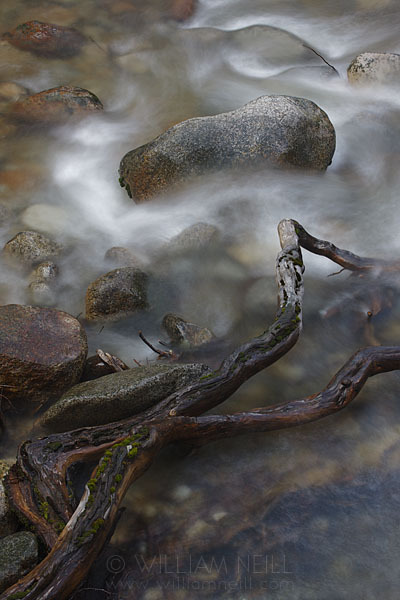 This subtle image is part of my ongoing efforts to reveal the Inner Yosemite! I hope you enjoy it and also hope to post more new work soon.